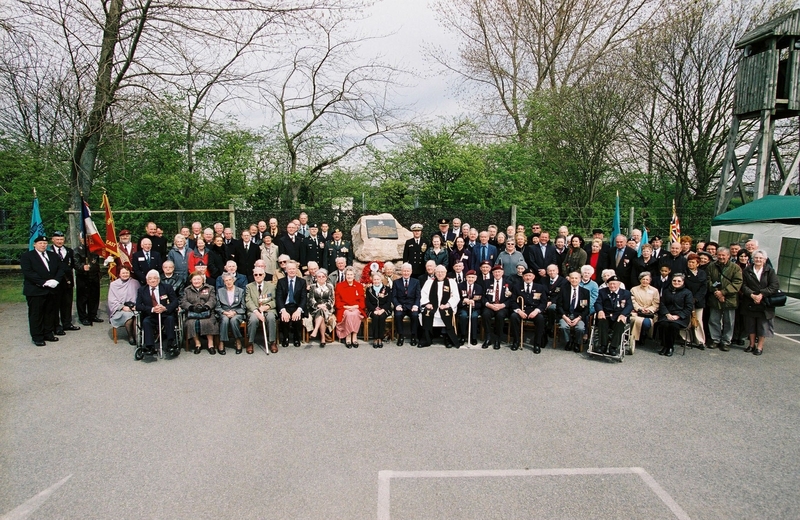 With the support of generous donors, the Society has erected a ‘Memorial to the Helpers’ at Eden Camp Museum in North Yorkshire, which is where we hold our Annual Remembrance Service and Parade in April each year. The rock for the Memorial is from a quarry in the Pyrennees belonging to the family of a ‘helper’, who acted as a guide over those same mountains. 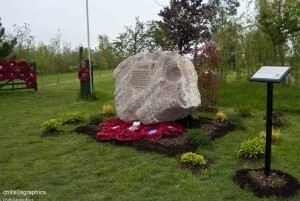 The family donated the rock to ELMS. 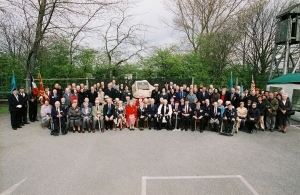 On the 19th May 2012 the Society unveiled a national memorial to the escape lines at The National Memorial Arboretum at Alrewas in Staffordshire. 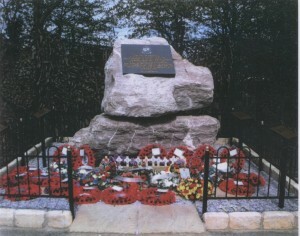 The rock was donated from the same Pyrennean quarry as the Helper Memorial at Eden Camp. 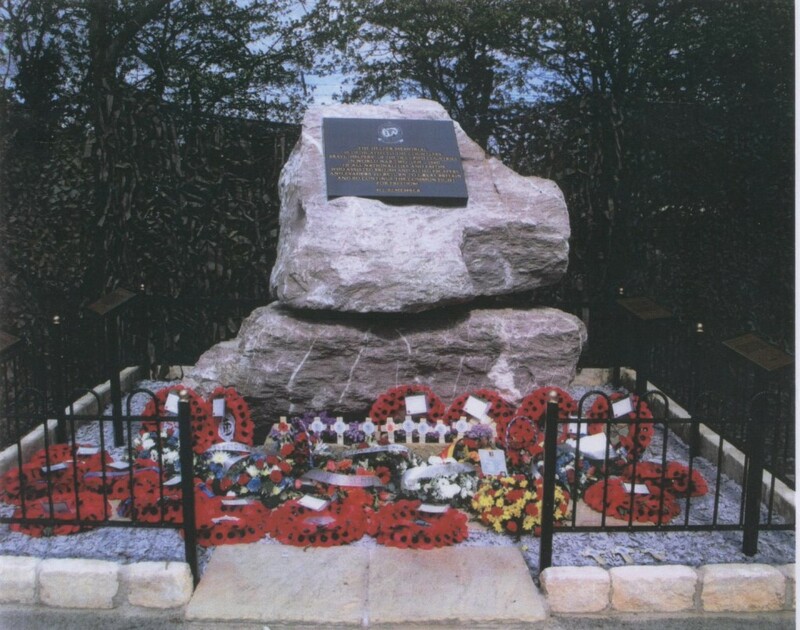 This memorial is situated in the Allied Special Forces Grove at the Arboretum and is dedicated to all escapers, evaders and helpers of WW2.